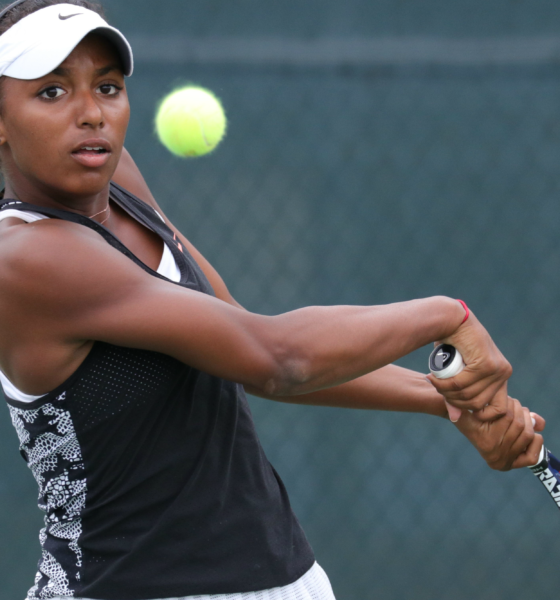 Hurricane Tyra Black was able to battle her way into the finals of the ITF Carson International tournament this weekend with steady play and precise ball striking while patiently awaiting her opportunity to attack the net. 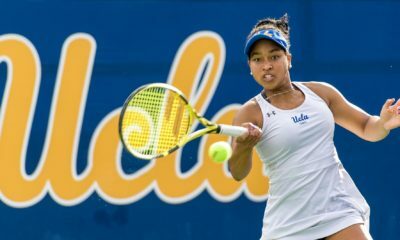 Tyra defeated the 35th ranked and first seed, Margaryta Bilokin of the Ukraine 4-6, 6-3, 6-3 and now faces the fifth seed, Georgia Drummy of Italy in the finals. 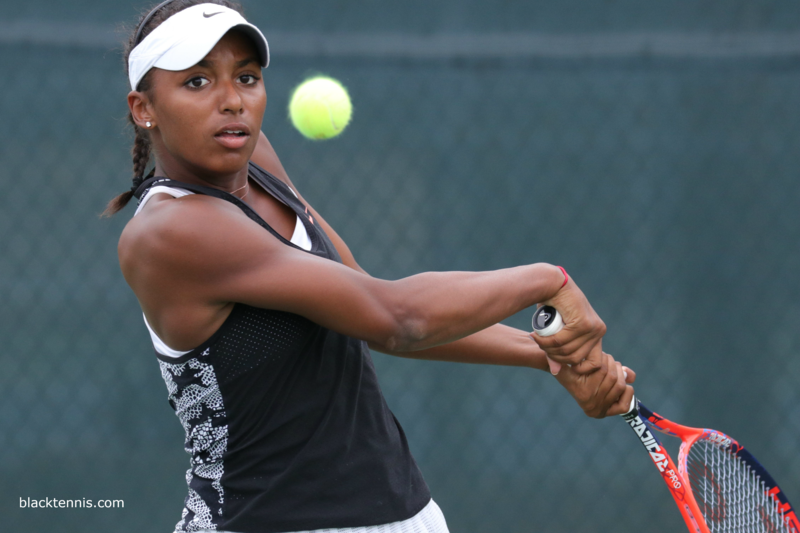 Tyra has the ability to rise fast through the ITF junior ranks as the grand slams are approaching. Her slice forehand was effective in resetting the point when pushed out wide off the court, however it can also be a huge liability. Tyra has a habit of hitting high floating slice forehand second serve returns instead of smacking aggressive topspin forehands. With minor shot selection adjustments, Tyra can transform into a more offensive player with big weapons. Look for big things from her as she continues to improve while excelling rapidly as a bright star in junior tennis. In the earlier match played today things did not go as planned for Hailey Baptiste as she lost a three set battle to the left handed Georgia Drummy. Hailey lost her momentum after winning the first set 6-3; Georgia began to elevate her game and Hailey could not counter Georgia’s powerful ball striking. Hailey should feel good about a great showing in Carson, and she is playing top junior tennis going into the Summer season. With more time spent on the practice courts, Hailey should have increased consistency from the baseline and an improved big serve that can get generate easy points. The future is bright for these two juniors as they continue to grow into tomorrow’s top WTA Tour players. 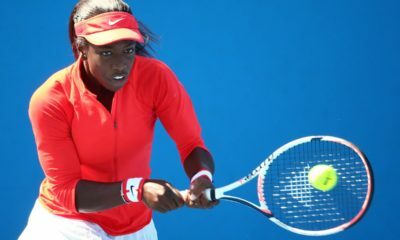 CoCo Gauff was able to dominate the field in her home state of Florida this weekend with a statement win over Diane Parry 6-0, 6-0 to advance to the final round where she had to overcome a third set deficit against 2nd seeded Qinwen Zheng of China to eventually prevail 6-4 in the third and final set. 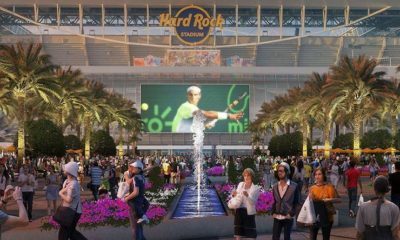 In addition to winning the 2018 Orange Bowl, CoCo committed to playing a full season of professional tennis beginning in 2019. She will bypass all junior grand slams and primarily play the World Tour Tennis 25 series of tournaments in effort to boost her current top 700 ranking in order to qualify for larger professional grand slam tournaments. Her goal is to reach the top 200 by the end of 2019. 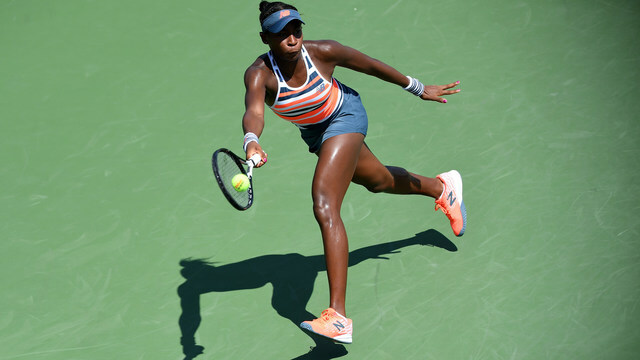 With the hard work and focus that she has exhibited over the last several months, CoCo is sure to gain her footing in the pro ranks and make a huge impact on the WTA Tour at the young age of 14. Coco is definitely the future of American tennis. 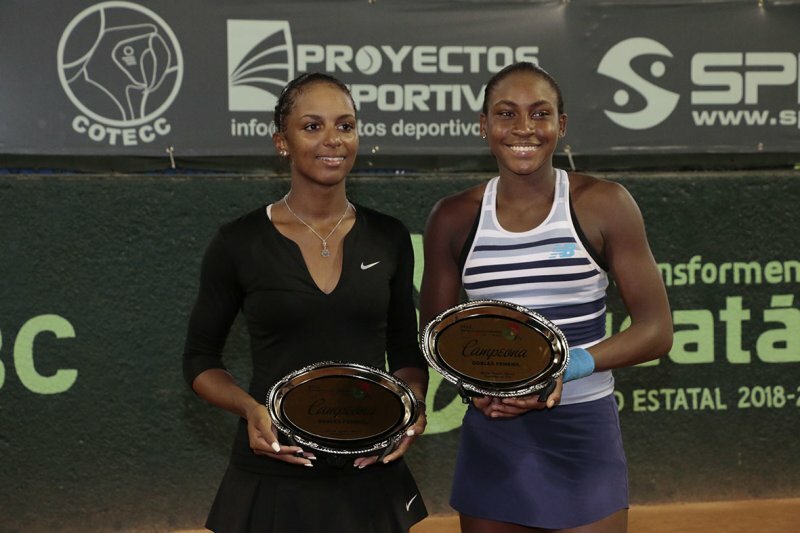 Cori “CoCo” Gauff and Hurricane Tyra Black teamed up as an unlikely pairing for the red clay Yucatan HSBC Junior Open in Mexico this week after Tyra won the Copa Mundial Campeche doubles title last week with Turkish partner Selin Ovunc. Their road to the final was very comfortable as the #1 seeded team, defeating fellow young Americans, Savannah Broadus and Kylie Collins, in the semifinals 6-4, 6-2. However, Giulia Morlet (France) and Adrienn Nagy (Hungary) were up for the challenge as they were able to narrowly escape their first round match against the #4 seed 11-9 and also overcame the 2nd seed in the semifinals 10-8 both in deciding tiebreakers. The final was destined to come down to the wire for the newly paired American team. 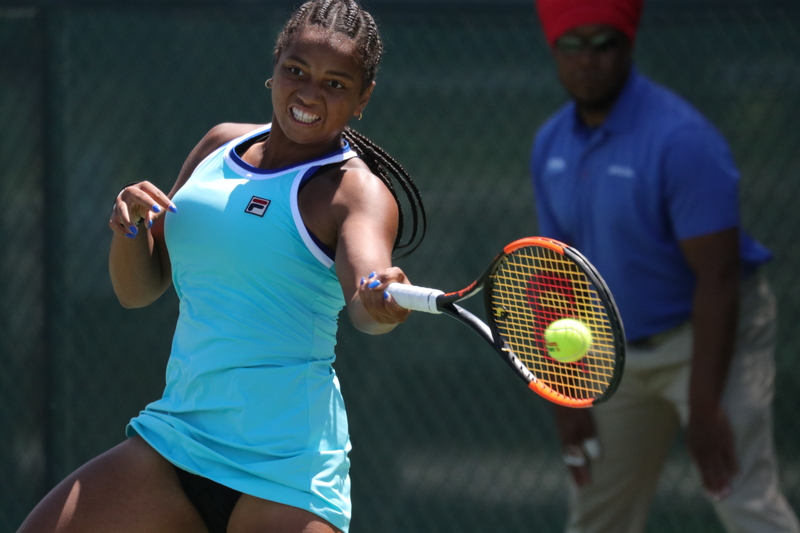 While able to overcome nerves in the second set, CoCo (2018 US Open Junior doubles title holder) was able to lead the team to a title victory 7-6, 4-6, 10-7. CoCo and Tyra could team up again in future events like the Orange Bowl. 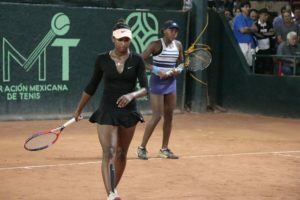 With Coco’s raw determination and Tyra’s speed and quick reflexes at the net, this doubles team is in position to win a junior grand slam title.